After a few days in the wilderness a nice shower is something to be desired. Some campgrounds do offer shower facilities, whether they are nice enough to actually use is a different story. 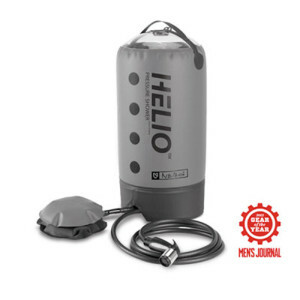 But if a shower is all you are craving while camping, you need to get your hands on the Helio Pressure Shower by Nemo. It’s one of the best camping showers out there. There are many choices when it comes to camping showers. Most need to be hung overhead and provide a very disappointing amount water pressure. Getting them hung can be a pain and the quality of the equipment is never quite up to par. Meet the Helio Pressure Shower. It rests on the ground and delivers the pressure you need to wash hair, do the dishes, or rinse off gear. Sometimes all you need after a day of being outside is a nice warm shower, the Helio can provide that. 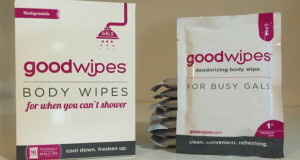 It is portable and comes in a small kit, weighing less than a liter of water, and provides 5 to 7 minutes of steady and satisfying water pressure. 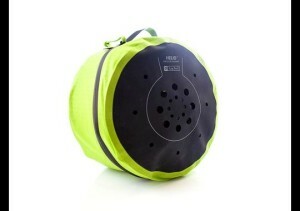 The Helio Pressure Shower uses an 11 liter welded fabric water tank, pressurized by a foot pump. To use the shower just fill up the tank, let it warm in the sun, set the tank on the ground and step on the foot pump a few times. Once pumped just hold in the nozzle and you will receive a high-pressure shower. Feel free to pump it a few times during use to build up the pressure again. The simplicity and ease of use the Helio offers is second to none. The Helio compact and stores in a smaller foot print than most other camp showers. It is truly a high quality product with tough and durable fabric. Although some other camp showers may be less expensive for $100 the Helio is well worth the money.